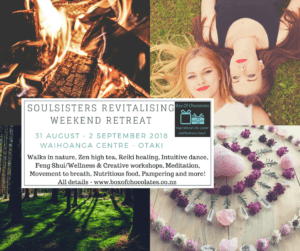 We don’t organise retreats ourselves at Waihōanga, but several groups organise retreats that have an open registration. Here are some that are coming up – please contact the organisers directly for more details… and we hope to see you here soon! Peter Dobson has been studying and teaching Taiji and Qigong for 30 years and is a senior student of the Taijiquan School of Central Equilibrium under the tuition of Wee Kee Jin. He has also studied Buddhist philosophy and mediation and has taught in prisons and rehab. He loves music, from blues to classical and is an artist and portrait sculptor. The focus of Peter’s Taiji practice and teaching is about reflecting, re-educating, and reconnecting with internal senses, inner knowledge, and intuition. Regular practice stimulates the natural capacity for regeneration and healing and has numerous health benefits. This is a chance to get away and recharge your mind, body and spirit in a wonderful holistic and healing way. 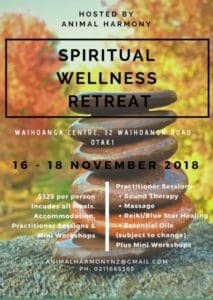 A chance to escape the hustle and bustle of your life and take some time out for yourself in a beautiful sanctuary only 45 mins from Wellington. Surrounded by luscious forest, birdsong and the river, you can’t help but be captivated by nature around you. We have hired the yurt for the weekend and you will also get a chance to experience mindful activities in this tranquil and unique space. Being winter it will be super cosy with the fire going, as well as plenty of variety of workshops and activities to have you uplifted, inspired, pampered and rejuvenated. 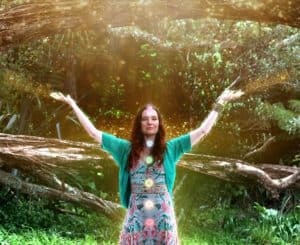 From local forest walks, Sacred Cacao Welcome Ceremony, Zen High tea, Reiki healing, Intuitive dance, Feng Shui/Wellness & Creative workshops, Meditation, Movement to breath, Nutritious food, Pampering and more! Our retreats are life-changing because you will not walk out as the same person. You will be empowered on so many different levels to uplift your wellbeing and life in a holistic yet powerful way. A chance to relax and revive your body, mind and spirit! 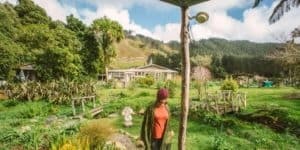 Matt & Marie have facilitated over 35 retreats in Australia, Asia and NZ and know the key ingredients for a successful retreat. Prepare to be pampered on this weekend of health and healing! Suitable for all, beginners & experienced. 2 nights accommodation in a beautiful setting overlooking Otaki Gorge. Delicious wholesome vegetarian meals, organic where possible. 2 Vinyasa yoga sessions every morning. 2 Yin yoga sessions with live music every afternoon. Plenty of time to absorb the beautiful surroundings. An opportunity to explore your body mind and spirit through the practice of Asana [yoga posture], pranayama [breathing]and Savasana [relaxation]. This weekend is open to anyone who has been practicing yoga for at least two years, comes with an open attitude and prepared to explore their body and mind through the practice of yoga. This cost covers meals Saturday and Sunday accommodation with bedding and the yoga teachings. For more information or to register, contact Michael on [email protected]com ; cell 0274784707; landline 063540222. Mindfulness for Change Hui are a space to embody mindful community, to support each other in creating change in the world. Change is not just about creating projects: it involves things like getting clear on purpose, nourishing our wellbeing, working through obstacles that come up, sharing learnings with others in community, and many other processes that are an integral part of creation. This hui, we’re focusing on celebration and healing as crucial parts of the work we do in the world. Come for a weekend of relaxation, nature, nurture, massage, healing, sound therapy, workshops and much more. Treatments include massage, reiki, sound therapy, essential oils and psychic readings. If you love healthy food, dancing under the stars, crystal healing, good energy, want to learn more about your chakras and delve deep, stay up late in PJs reading oracle cards, crystals in hand with like minded beautiful Goddesses talking about balancing our chakras then this weekend retreat away will be exactly what you have been looking for. Come away for a lovely weekend away where you will be nourished and pampered. And we will get high on life and spirit, have fun, dance, laugh, and eat chocolate! Weekend includes chakra philosophy, energy healing, psychology of chakras, storytelling, aromatherapy, pranayama, guided visualization, meditation, chakra art therapy, movement and sound therapy, chakra yoga asana and movement developed and focused on healing/balancing each chakra, as well as take home material so you can develop a supportive home practice.